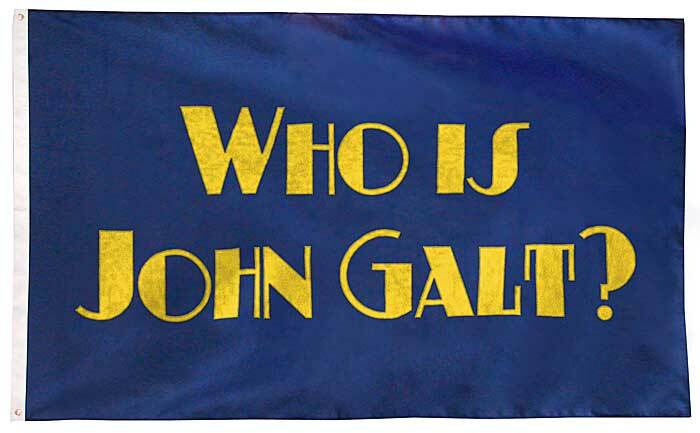 Store Home » Other Products » Who Is John Galt? Who Is John Galt? This, the first line of Ayn Rand's novel Atlas Shrugged, has become a rallying cry for the modern conservative movement in America. Make your own statement against the collectivist trajectory of our society with this hand-sewn applique flag. Includes: Custom sewn flag with heading and grommets finish.